The Christus Kirche was designed by Gottlieb Redecker, a German government architect, who drew up the first designs in 1900 and 1901. The final plans weren't completed until 1906 as there was the Herero and Nama uprisings against German colonial rule to deal with first. A suitable site before the construction could begin was also needed. The stone-laying ceremony took place on 11th August 1907. 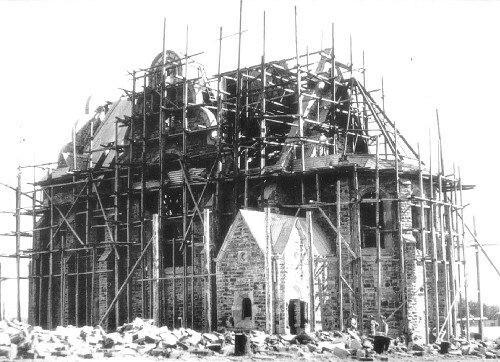 The church was consecrated on 16 October 1910. Various materials and objects in the church, like the bronze bells, stained glass windows and the altar, were donated by different people and firms in Germany. This building was built in the neo-Romanic style and shows an influence of Art Nouveau, which was popular in Europe at the beginning of the 20th century. 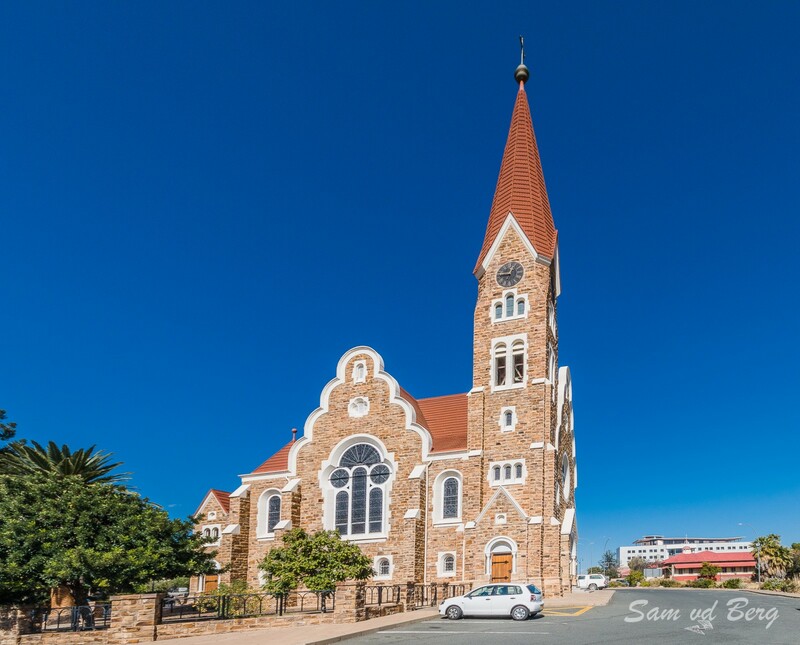 The walls of the church are built with sandstone found in the Windhoek area, and the entrance is made of Carrarian marble from Italy. The church tower is 42 meters in height. 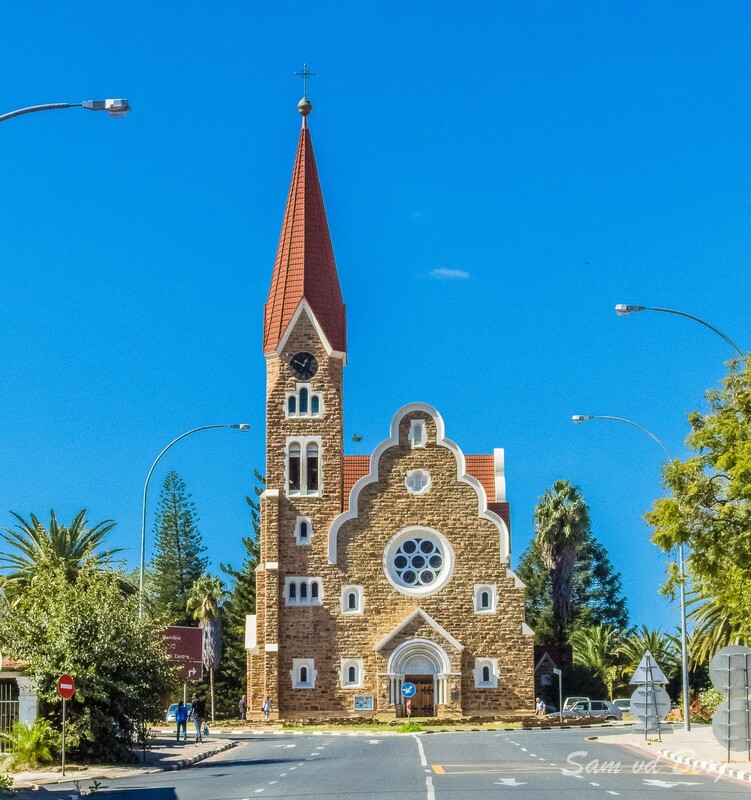 The names of all German officers, soldiers and settlers who were killed during the colonial wars in Namibia appear on a bronze plaque attached to a wall in the church.